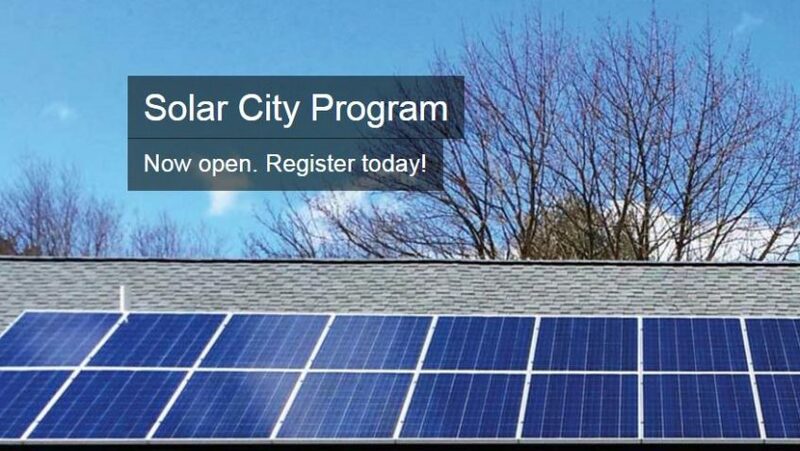 After a successful pilot project, Regional Council approved the continuation of the Solar City program for three years. The program will increase the opportunities for property owners to save money and reduce their environmental impact by offering property owners three solar technology options: Solar Photovoltaic (PV), Solar Hot Air and Solar Hot Water. To be considered an eligible participant to register, you must be a property owner who is either the owner of a private property or a property owner who is incorporated as a co-op or not for profit.